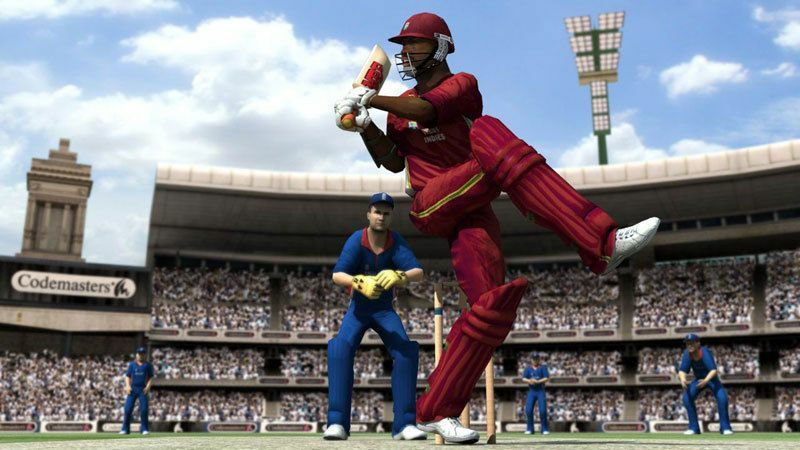 The first ever cricket game on XBox 360 smashes its way onto this high-end console that offers the same sporting exciting as the PC and PlayStation 2 versions with a variety of different gameplay modes that include test matches, ICC World Trophy and One Day International games to name a few of the inclusions. Needless to say, our first impressions of the title was one of awe which easily dictates this title as one of the better if not best cricket games on the market at the moment with realistic gameplay, graphics and traditional sporting excitement. 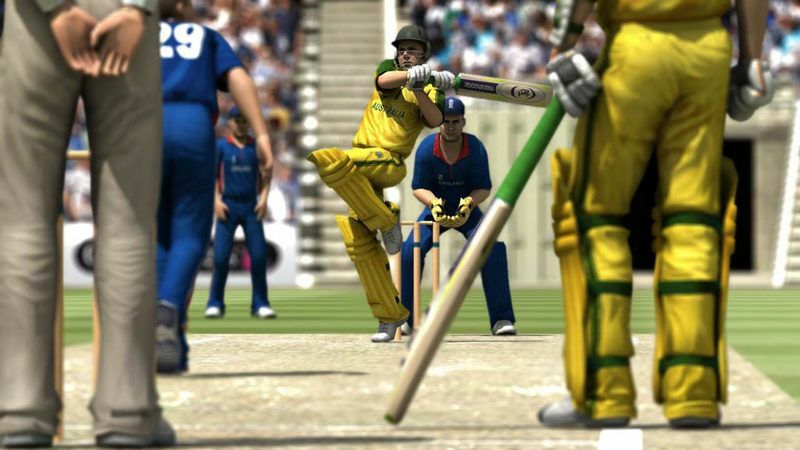 The best cricket game gets better in 2007. Fully endorse by Australian Captain Ricky Ponting. Featuring the official ICC World Cup 2007 license. Wicket movement – move up and down or left and right on the crease. Dance up the wicket to play at short balls. Edges – subtle edge shots have been added, mind the slips! Ball physics – ball wear, spin, and pitch will affect the movement of ball physics. The gameplay of Ricky Ponting International Cricket 2007 has tremendously improved since its predecessors that allow the gamer to play all facets of cricket to include batting, bowling and fielding. Match that with the almost "perfect" XBox 360 controller and gameplay of the title and even the most novice of cricket fans will have no difficultly in picking up this title and start hitting some sixes. Licensing has always been an issue with Codemaster and fortunately Ricky Ponting Cricket has been blessed by the Australian Cricket Board and thanks to the official ICC Cricket World Cup 2007 content, this current incarnation of Ricky Ponting International Cricket 2007 features your favourite superstar such as Andrew Flintoff, Brian Lara, Mahendra Dhoni, Muttiah Muralitharan and Ricky Ponting. Codemasters have also realistically modelled their characters on their real-world counterparts so when you see Shane Waurn bowling or Brian Lara going up to bat or bowl, you really know which cricketer is which. The gameplay of the title is almost flawless with bowlers, fielders and batters all having access to a variety of realistic maneuvers. Bowlers for instance have access to a variety of different styles and power, ensuring that the batsman never knows what's coming towards them. It doesn’t help when you aim the ball at an almost bodyline style of target... hideously entertaining. As with the batting, the player also has a wide gamut of options such as hitting the ball at different speeds and power and by using the analog stick, choosing a direction for where they hope to hit the ball. Although it will take awhile to master the batting of the title but once you have worked out the game mechanics, you should have no difficulty in hitting the ball. The title is sickeningly addictive. Graphically, Ricky Ponting Cricket looks amazing on the XBox 360 that is extremely reminiscent of the PC version with its photo realistic graphics. Even though the PlayStation 2 version looks amazing, the XBox 360 version is almost like you actually on the field with its highly detailed characters and realistic stadium designs. The environments are extremely well designed and the developers make great use of lighting effects for that day and night feel. All the characters in the game move with extreme realism and match that with a sturdy gaming engine and you have a true cricket game made for gamers. Another interesting facet are the realistic weather effects that have also been flawlessly implemented into the gaming environment. When it comes to sound effects, Ricky Ponting International Cricket 2007 features our favourite commentators that include Tony Greg and Jonathon Agnew to give that real sense of commentary. Match that with the roars and screams of the crowd and all the sounds of bats hitting balls with the subtle background sounds and one could be forgiven in thinking that they are watching cricket on Channel 9. 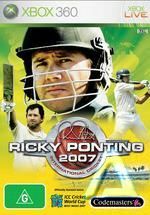 In conclusion, Ricky Ponting International Cricket 2007 is a must have game for the XBox 360 that the most definitive cricket game to date which also contains great online content and play. Great graphics, great gameplay and a great game, highly Recommended!